Stadio Paolo Mazza will host Sunday’s football game between SPAL and Parma. SPAL did remarkably well to beat Bologna on the road in the opening match of the season, whereas Parma shared the spoils with Udinese in their opener. The newcomers dropped a two-goal advantage in the 2-2 draw with the Zebrette, but they showed everybody that they are capable of producing fine performances in the Italian top flight. 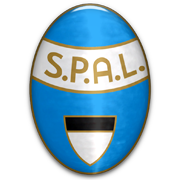 SPAL were impressive at home ground in the last season finale and they are definitely capable of grabbing something from their first home game of the season. Anyhow, a close encounter is on the horizon and we predict the two teams are going to share the spoils at Stadio Paolo Mazza. You should bear in mind that the two teams meet for the first time ever in the Italian top flight.